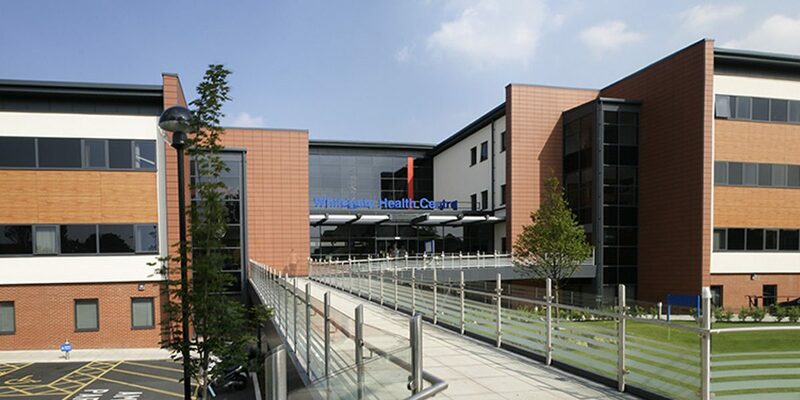 JBC have been involved with over fifteen new build PFI health centers around the Lancashire area and have been instrumental in the development of the controls philosophies for each site. The controls and how they operate have been adapted over the years with buildings being developed from using conventional gas boilers to using new green technologies such as ground source heat pumps, CHP’s and heat recovery chillers. Each health centre carries a bespoke construction with varying numbers of floors, rooms and uses. Typically each building contains around 400 rooms which are heated either by under floor heating or ceiling mounted fan convectors. Multiple JBC control panels are positioned around the buildings proving local control of heating and ventilation. The panels are then networked together providing a complete BMS system which can be remotely monitored over the intranet.